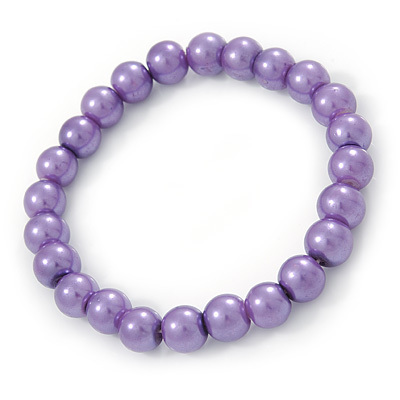 Complete the perfect look with this versatile 8mm Purple Pearl Style Single Strand Bead Flex Bracelet. Featuring a single strand flex design, made of 8mm glass pearls in hues of purple. Also check our store for matching earrings E01193 and a matching necklace N01673.